Tokyo on Monday called Sunday’s historic referendum in Catalonia an internal issue, leaving Japanese citizens and Spanish communities in Japan dependent on the Spanish government’s decision moving forward after Catalans voted to split from Spain. Calling the issue an internal dispute between Catalans and the rest of Spain, a Foreign Ministry official told The Japan Times by phone that the government was not taking sides. He said, however, that visitors and residents of Catalonia should stay vigilant as the situation has yet to be resolved. Catalonia leader Carles Puigdemont said the region had won the right to break away from Spain after 90 percent of voters taking part in a banned referendum voted for independence, defying a sometimes violent police crackdown and fierce opposition from Madrid. 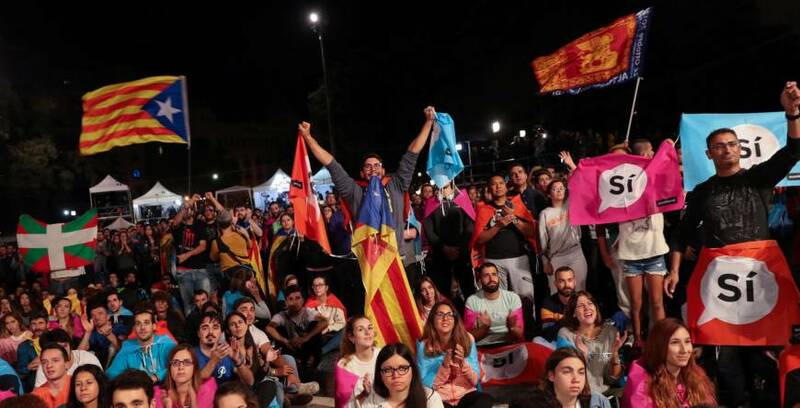 Any attempt to unilaterally declare independence is almost certain to be opposed not just by Madrid but also by a large section of the Catalan population, which is deeply split on the issue. David Marquez-Clemente, 46, who has lived in Japan for 15 years, lamented the response by the Spanish government following the poll and said that “the right thing” would have been for the Spanish and Catalan governments to have negotiated the terms of a mutually agreed referendum. Marquez-Clemente, a member of Casal Catala Tokyo, a Catalan voluntary organization based in the capital that represents the Catalan community, sent his vote by email. But Japanese business operators and groups promoting the region’s culture believe the situation in Spain will soon return to normal. So far, the chaos has had no direct impact on tourism. “Given the time difference we haven’t received any inquiries (concerning the referendum and its outcome) so far but we haven’t detected any problems,” said Yuriko Kamiyama, a spokeswoman for major travel agency JTB Corp. “But if the government raises the alert, we might consider measures such as cancellations of travel arrangements” to ensure the safety of customers. Trips to Catalonia are also popular with users of services provided by Jalpak Co., affiliated with airline giant Japan Airlines Co.
Jalpak spokesman Satoshi Nagao said that trips to Spain account for about 20 percent of travel packages sold to customers choosing Europe as their travel destination, and that 80 percent of visitors to Spain also visit Barcelona for at least one day. No cancellations have yet been reported, Nagao added. He believes the company would not need to exercise any extraordinary security precautions under the current situation. Any decision to halt or change some of their services would depend on further advisories from the Foreign Ministry, he said, adding that he hoped Spain, with its wealth of history and culture, will remain one of the firm’s most popular travel destinations. Elsewhere, a member of Associacio Japonesa d’Amistat amb Catalunya, a Tokyo-based group focused on promoting the culture of Catalonia in Japan, believes the dispute won’t affect relations between Spain and Japan. 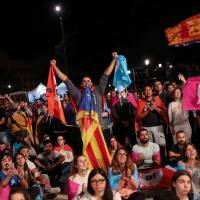 “The chaos resulted from clashes between independence supporters and the police and it was related to the referendum — thus was temporary. Everything should go back to normal today,” said the member, who requested her name be withheld. “Regardless of whether (Catalonia) will or won’t split from Spain, it won’t affect the region’s culture. I don’t think Catalonia will change in any way,” she said. The group, as well as the Japan-Spain Society, which is aimed at strengthening and promoting relations between Japan and all regions of Spain, refused to comment on the political aspects of the referendum.